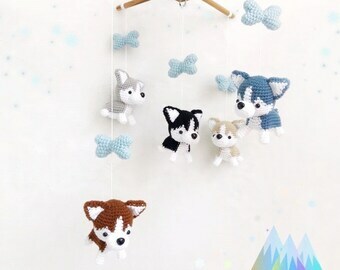 - Puupy : They are made of hand crocheted acrylic yarn and stuffed with polyfill. 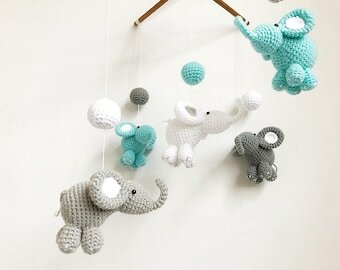 - Bone : They are made of hand crocheted acrylic yarn and stuffed with polyfill. Include 2 hooks from top and bottom of cube. Your order will arrive 2 - 4 weeks after payment is received by regular service. (after confirmation of payment & excluding weekends). *The duration of delivery may differ from country to country. Local customs processing can cause delays, which we cannot control. If you have any enquiry, please don’t hesitate to contact us. I will answer your question within 12 working hours. 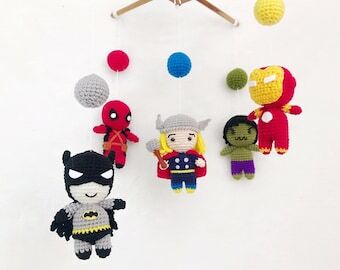 Favorite part of the nursery! So different and beautiful. This item is so adorable! 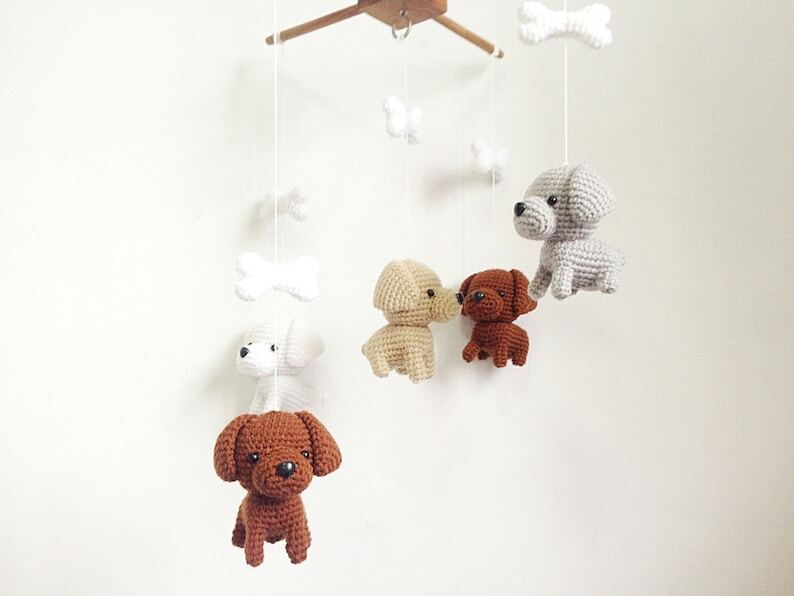 It is the perfect addition to our little man's puppy themed nursery. Great quality and arrived in a reasonable amount of time. I would highly recommend this item and shop! 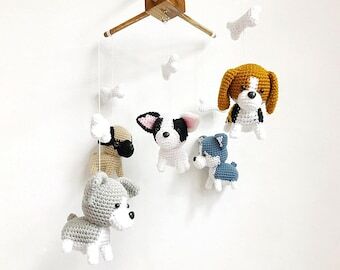 I ordered this mobile with all white dogs as a tribute to our Bichon Frise - it is SO cute!!! My favorite part of the nursery by far!!! And very impressed with the quick shipping!